Wow. What a difference a month makes. I can’t keep up with harvesting the lettuce, kale, beans, and beets! The rabbits are getting a lot of greens, and have learned that when I come back in through the front gate, they should come running to meet me, because I’ll likely have a few leaves for them. What they don’t eat, we are drying for winter; bunnies enjoy dried turnip and kale leaves. On July Fourth, I recorded a video tour of the front yard vegetable garden for you. I didn’t get around to posting it, and now the garden is grown up even more lush. 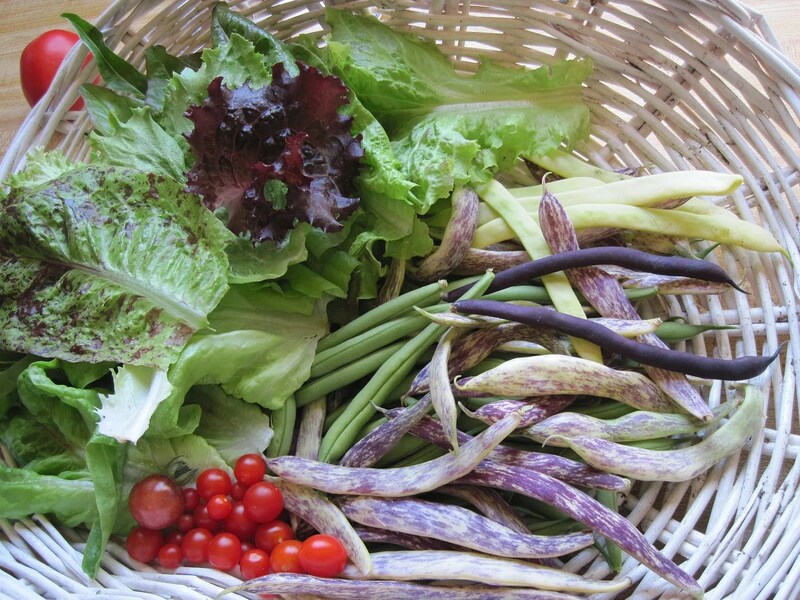 The bush beans are producing like crazy now – I’ve eaten three meals of them, and still have a big bag of beans. I think I’ll have a few more tonight, and then freeze the rest of the bag. These are Dragon’s Tongue beans. I’m a big fan of colored beans, because they are so much easier to see and pick on the plants. 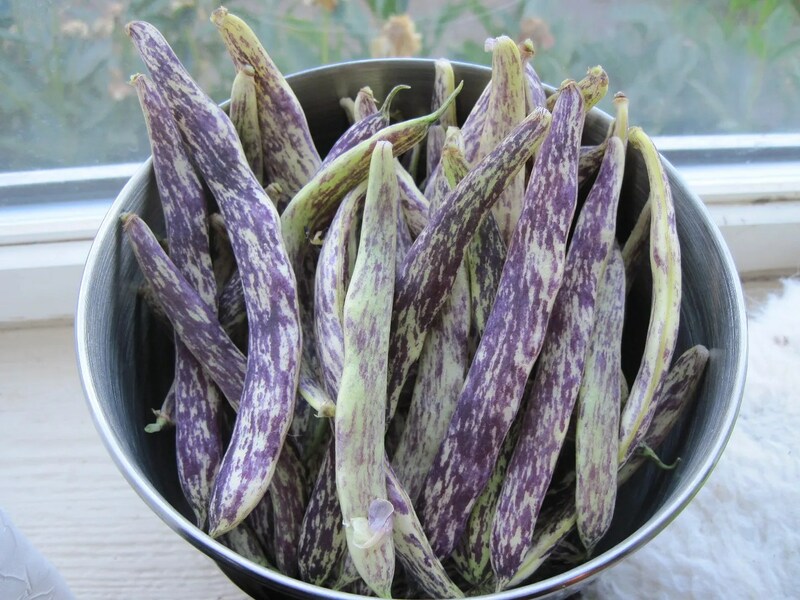 AND the pole beans are also beginning; I’ve picked a few handful of both the purple and yellow ones. And we finally have tomatoes too. 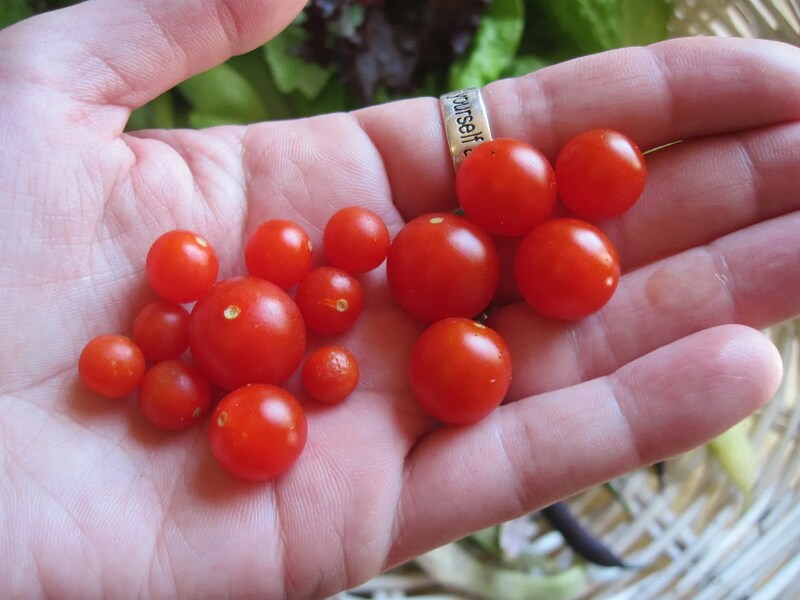 These teeny little red ones (Red Currant Tomatoes) are so adorable in salads. I love how they are all different sized when ripe. 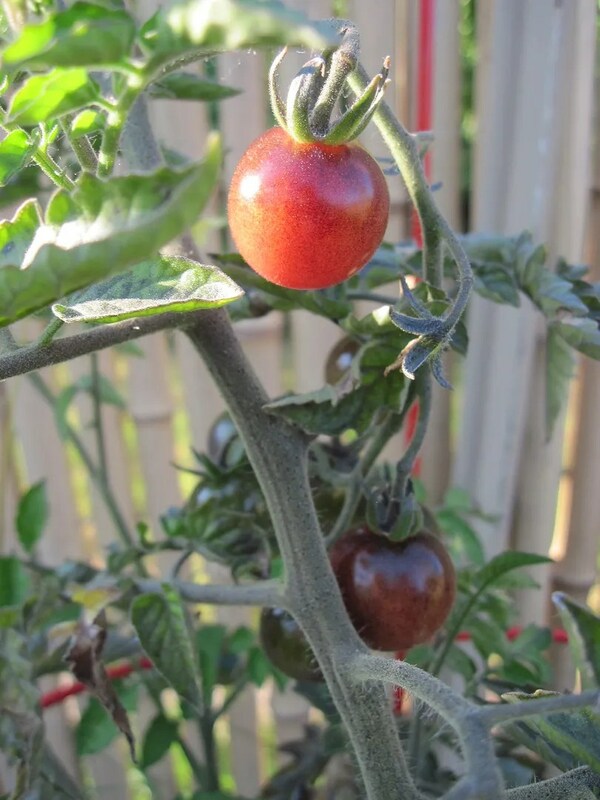 The Indigo Blue Berries Tomato is ripe as well. I don’t think I’ll grow these in the future, though. They are gorgeous, but the flavor is not nearly so good as Sungold or Black Cherry. The full-sized tomatoes, Japanese Trifele, are flushing orange, so it won’t be too much longer for those. 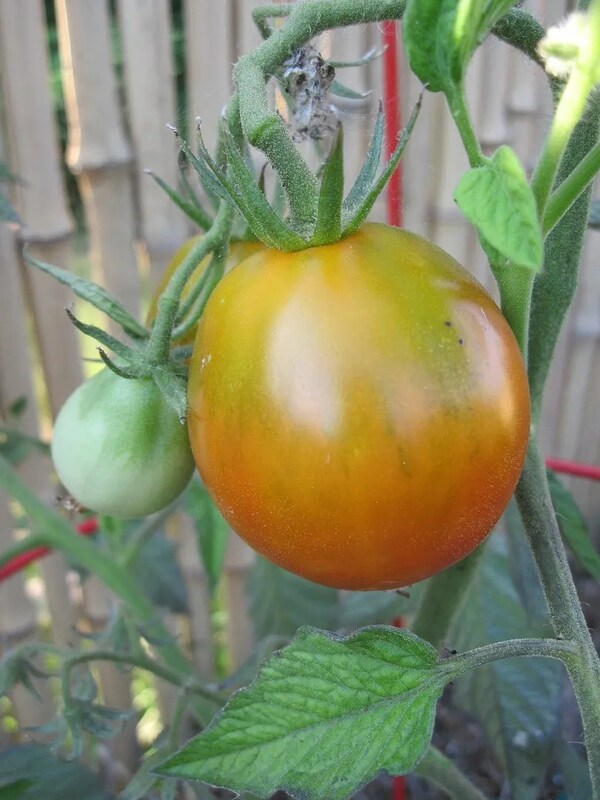 This is a great year here for tomatoes. We’re in a bit of a heat wave, and the tomatoes are loving it. 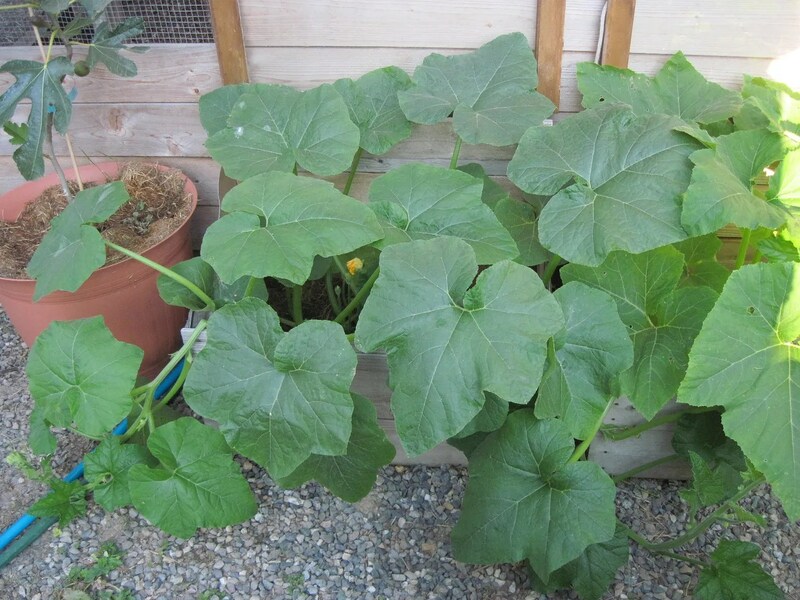 The squash are happy too. I have tons of flowers and baby squash. The ones in the cold frames are still hugely out-performing the ones in the ground. I’m so glad I thought of doing this! This is a photo from a week ago – they are even larger now. And look! 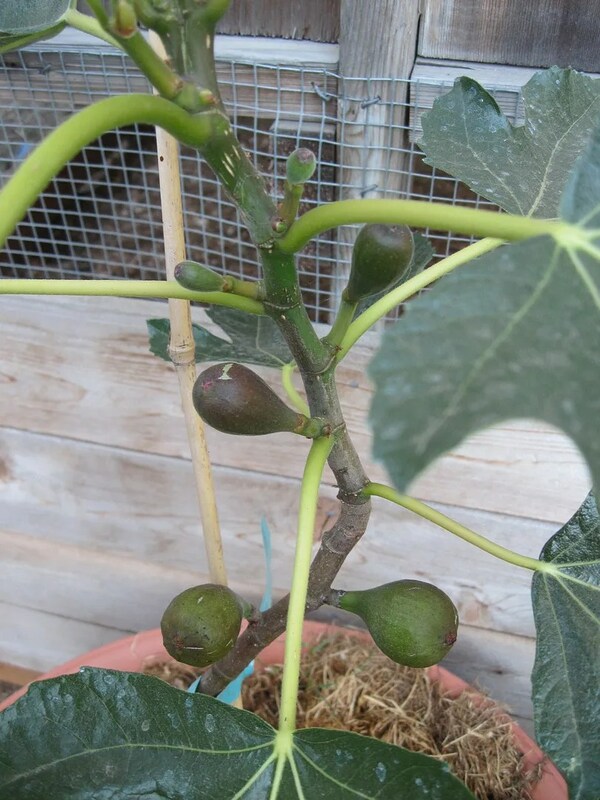 Not only are the two figs on my bitty tree still ripening, but four more little figs have suddenly appeared. It is seriously like magic, the appearance of those four figs. Don’t figs have to flower? I was watering the tree constantly, and didn’t notice a thing until suddenly…this. In chicken news, now that all the baby chicks are long gone from the local feed store, my mama chicken Josie has finally decided to go broody. I told her she missed the boat for this year, and put her in ‘chicken prison’ – an outdoor wire dog crate I use to keep her outside and away from the nest boxes. Hopefully in a few days, she’ll give up and go back to laying. Maybe next year I’ll get her some chicks to raise…if she picks a reasonable time to go broody. Silly girl.